CAMPBELL, ROBERT, farmer, fur trader, and explorer; b. 21 Feb. 1808 in Glen Lyon, Scotland; m. 5 Aug. 1859 Elleonora C. Stirling at Norway House (Man. ), and they had three children; d. 9 May 1894 at Merchiston Ranch, near Riding Mountain, Man. An assistant on his father’s sheep farm in Scotland, Robert Campbell was hired in 1830 by the Hudson’s Bay Company to aid a relative, Chief Factor James McMillan*, in the establishment of an experimental farm at the Red River settlement (Man.). After participating in a futile attempt to import sheep from Kentucky in 1833, Campbell became dissatisfied with farm life and requested a position as a fur trader. He was assigned to the Mackenzie River district as clerk the following year. The HBC was at that time engaged in a concerted effort to expand westward from the Mackenzie River to meet increasing Russian competition in the northwestern interior. Two explorations by John M. McLeod*, in 1831 and 1834, had delineated the watersheds of the Liard and Dease rivers. In 1837 Campbell was directed to open a post at Dease Lake (B.C.) and was promoted postmaster that year. Because of opposition by Kaska Indians, he spent two hungry and fruitless years in the area. When an agreement was signed in 1839 between the Russian American Company and the HBC [see Sir George Simpson*] that allowed the British company to lease the Alaskan panhandle, competition ended and Campbell’s activity in the Dease Lake region was no longer necessary. As a result of speculation that the district west of the Mackenzie was rich in furs, Campbell was directed to continue McLeod’s explorations of 1831 along the northern branches of the Liard system. In 1840 he pushed up to Frances Lake (Yukon), which he named in honour of Frances Ramsay Simpson*, wife of the HBC governor. From there, he continued overland, reaching the banks of the Pelly River, initially believed by him to be the Colville (Alaska), discovered in 1837 by Peter Warren Dease*. Campbell thus became the first white man to cross into the Yukon River watershed from the east. In 1842 Campbell led a contingent of ten HBC employees and four Indian hunters back to Frances Lake, where he built a small trading post. The following summer he descended the Pelly to its confluence with another substantial river, which he called the Lewes (now the Yukon) River. After a delay of several years, owing to difficulties in obtaining supplies and Campbell’s reluctance to expand into potentially hostile territory, a new post, Fort Selkirk, was finally opened at the junction in 1848. Campbell wished to continue his explorations and was particularly anxious to locate a way to the Pacific coast, but Governor Simpson feared that free traders would take advantage of the discovery and destroy the company’s inland monopoly. Instead, Campbell was directed to examine the route between Fort Selkirk and Fort Yukon (Alaska), the firm’s other post in the area, both by then acknowledged to be on the Yukon River. He accomplished the voyage in 1851, thus completing his northern explorations. The following year he was rewarded with a promotion to chief trader. 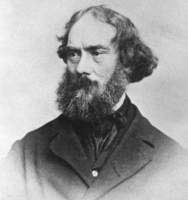 Although renowned for his exploits in the Yukon, Campbell is something of an enigma as an explorer. He certainly did not lack courage or tenacity. Indeed, his persistence in the face of personal suffering was noted by many of his contemporaries. Yet he was over-cautious, proceeding in short, tentative steps and recoiling in the face of the unknown. He lacked the eagerness to push toward the unexpected. He may not have possessed characteristics typically associated with an explorer, but he maintained a strong desire to be remembered as one of the discoverers of the northwest, an attitude which led to a myopic view of the HBC’s activities and to an overestimation of his own importance. Campbell’s entire trading career in the Mackenzie River district had been stormy, fraught with bickering between himself and his fellow officers. James Anderson, in charge of the district in 1852, described him as a “zealous, enterprizing man” with “a really estimable character I understand – but he is mad when he touches on the prospects of [Fort] Selkirk. He has no idea of economy, method or arrangement and is of course perpetually in difficulties.” The source of these difficulties, beyond Campbell’s reluctance to deal with the mundane chores of the trade, had been his identification of his own advancement with the success of the trade in the Pelly–Fort Selkirk area. That trade had commenced on his optimistic recommendation and he was determined, beyond reason at times, to justify the undertaking. While privately acknowledging the local problems that plagued the trade, Campbell preferred to lay the blame for low returns on others, particularly on his commanding officer through much of the 1830s and 1840s, Murdoch McPherson. Simpson was frequently angered by Campbell’s vague accusations, his reluctance to obey direct orders, and his almost annual requests for permission to retire. The governor did not agree that the southern Yukon was a field of great potential or that Campbell should have a free hand in its administration. Campbell’s tenure in the Yukon was without financial profit, but he could not be faulted for all of the difficulties. The Liard River supply route was both unreliable and costly, and competition from the Pacific coastal trade was virtually impossible to overcome given the constraints placed on the Fort Selkirk trade. Near-starvation was an accepted part of the annual routine at both Frances Lake and Fort Selkirk, and on several occasions an entire year passed without the receipt of supplies. Lacking sufficient trade goods and forced by the HBC to set prices that were uncompetitive, Campbell had to watch helplessly as Chilkat traders, laden with furs, passed through his area to trade on the Pacific coast. He soon became despondent over the prospects for “his” district; his journals become replete with comments reflecting his dislike of the region, his intense loneliness, and a growing sense of failure. In 1852 Fort Selkirk was ransacked by the Chilkat, who had long resented the HBC’s intrusion into their interior trade. Anderson rejected Campbell’s entreaties that the post be immediately re-established. In an attempt to obtain its reopening, and, just as important, to clear himself of any responsibility for the episode, Campbell set off from Fort Selkirk for Montreal, where he put his case before Simpson. His appeal was rejected, the governor suggesting instead that he travel to England on leave. Returning to North America in 1854, Campbell was again assigned to the Mackenzie River district, at Fort Liard (N.W.T). The following year he took charge of the Athabasca district, a position he held until 1863. That year he was transferred to the Swan River district, and in 1867 he was named chief factor. During the Red River insurrection of 1869–70, he feared that his post might be taken over by the Métis. He bypassed standard transportation routes and removed his family and the district’s furs through the United States. This action was disapproved of by his superiors, particularly William Mactavish*, governor of Assiniboia and of Rupert’s Land. While on furlough in Perthshire in 1871, Campbell received notice that his services were no longer required. Although he had been contemplating resignation, he was angered by the abrupt dismissal. Distraught over the recent death of his wife, however, he decided against seeking redress for what he felt was mistreatment. During the next decade he lived alternately in Scotland and Manitoba, finally settling in the 1880s at Merchiston Ranch, built on a section of land near Riding Mountain which he had purchased in 1878. He remained there until his death in 1894. Most of Robert Campbell’s papers were destroyed by fire in 1882. The following year he published The discovery and exploration of the Pelly (Yukon) River ([Toronto]). Two manuscript copies of his autobiography, as well as other papers, are at NA, MG 19, A25. Two journals of Robert Campbell, chief factor, Hudson’s Bay Company, 1808 to 1853 . . . was published in Seattle, Wash., in 1958. NA, MG 19, D13. PAM, HBCA, B.200/b/15–22; D.4/17–119; D.5/3–52. Alan Cooke and Clive Holland, The exploration of northern Canada, 500 to 1920: a chronology (Toronto, 1978). K. S. Coates, “Furs along the Yukon: Hudson’s Bay Company – native trade in the Yukon River basin, 1830–1893” (ma thesis, Univ. of Man., Winnipeg, 1980). Clifford Wilson, Campbell of the Yukon (Toronto, 1970). A. A. Wright, Prelude to bonanza: the discovery and exploration of the Yukon (Sydney, B.C., 1976). George Bryce, “Sketch of the life and discoveries of Robert Campbell, chief factor of the Hon. Hudson’s Bay Company,” Man., Hist. and Scientific Soc., Trans. (Winnipeg), no.52 (1898): 1–18. Kenneth Stephen Coates, “CAMPBELL, ROBERT (1808-94),” in Dictionary of Canadian Biography, vol. 12, University of Toronto/Université Laval, 2003–, accessed April 20, 2019, http://www.biographi.ca/en/bio/campbell_robert_1808_94_12E.html.